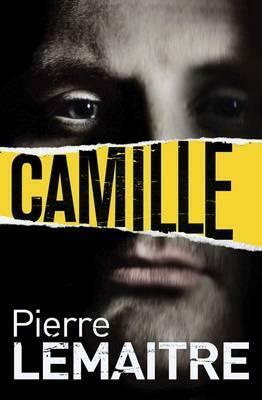 One of the most anticipated books this year, I was delighted when a review copy of Camille by Pierre LeMaitre dropped through my letterbox. It completes the trilogy featuring diminutive detective Commandant Camille Verhoeven. The series has been translated from the French out of order so we began with the second book, Alex, before starting the tragedy of Camille’s personal life with Irene. This is an excellent series. Any of the books can be read as standalones but with Camille, we do get a sense of the detective’s story coming full circle. It is a series of seemingly random events that leads Anne Forestier to be shot three times in a bungled raid on a jewellers. She is taken to hospital but an attempt is soon made on her life there. For Commandant Verhoeven, it is an echo of a past tragedy when his wife, Irene, was murdered by a killer exacting revenge on Camille. He is determined to protect Anne at all costs but is hampered by the fact that he fails to tell his superiors of his relationship with the victim. Camille is a dark tale with the detective once more at its heart. It’s the personality of Camille who, as with earlier books, dominates the narrative. It’s a clever ploy to make him physically small because he is a lion at heart and life’s vicissitudes appear to have only made him more determined. It is a difficult book to review because it invites comparisons to the wonderful Alex. I don’t think the story is was ingenious as the previous book but I did prefer it to Irene. I think this was partly the plot. It’s tightly contained and barely gives the reader a chance to consider what is happening. Fans of the two earlier books will want to read Camille to complete Verhoeven’s tale. I think it’s a greater book than that as it shows how love, mistrust and acceptance aren’t mutually exclusive. And LeMaitre is a beautiful writer. The excellent translation was by Frank Wynne. Good to hear, Sarah, that this one lives up to the others in the trilogy. It makes me think though, about the order in which books get translated. I know there are lots of reasons that one or another book might translated first. But for a trilogy like this, I honestly think it makes more sense to start at the beginning. Thanks as ever for a fine review. Thanks Margot. the good thing is that those new to the series can read it from the beginning now. I am looking forward to these books – I have all of them now; just need to find the time to read them! It’s a wonderful trilogy, Linda. I really appreciate it, Tom. I noticed ‘taught’ instead of ‘taut’ in another review about 2 weeks later. 😦 You are an excellent proof reader! Obviously in a blog wee errors slip through – but it drives me bonkers when I spot them in books! I think, how many people have been paid to read this and spot every error? It happens more often than you’d expect too – I’m sure Tom will have spotted a few, too! I would have agreed with you, Linda, six months ago but every time I get a copy of my own book, I notice a mistake. I’ve signed off the final proof now. It has been through numerous edits, copy edit and proof reads. These things do happen! Sounds great, thanks Sarah – I’ll look to see if I can find an Italian translation first though, just in case 🙂 And indeed it has – hurrah! Great! Do you prefer to read in Italian over English? I can see the sense in this definitely! Wynne’s translation is excellent but I can see how an Italian translation will follow same grammatical forms, vocal etc as the French. Sarah, I’m curious about this trilogy and I’ll see if I can find a copy of “Irene” and begin at the beginning. Thanks for such a fine review. I’d definitely start with ‘Irene’. Prashant. I bought Alex, even though I thought it would be too dark or violent for me. Then realized that Irene preceded it, but still haven’t purchased that. I hope to get a copy of that one soon. Your post has persuaded me to persevere. That’s great, Tracy. It really is an excellent trilogy.